When I was in 7th grade, there was this fundraiser we did with magazines. Get people to subscribe to magazines at a discounted rate and the school gets a certain percentage. Well, I seized the moment and subscribed to Cosmogirl and Seventeen. Two months later when I got my first issues I was so excited. I felt grown, like I was seventeen. My first issue of Cosmogirl. I would sit and look at the pictures for hours. Then when I got to high school I dropped Cosmogirl and subscribed to Teen Vogue. 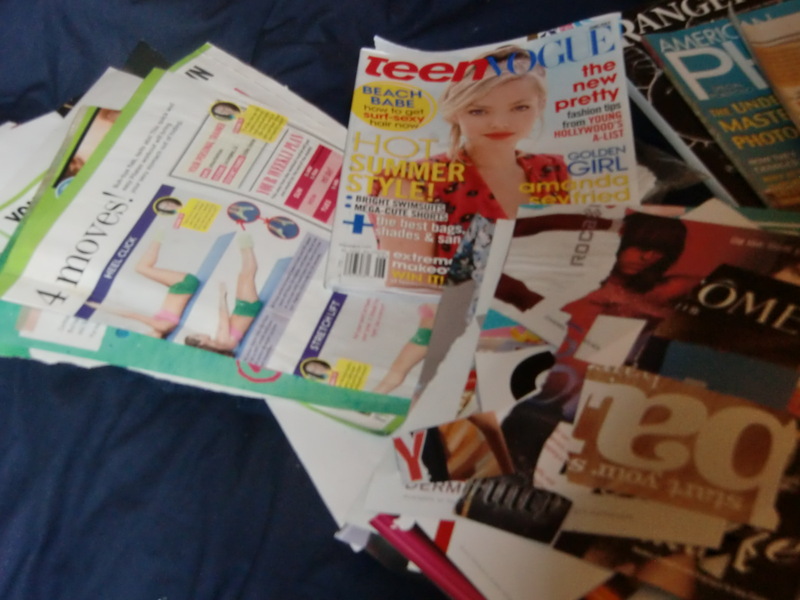 I sorta began collecting them, and soon I had a whole collection of all sorts of magazines. Esquire – a men’s magazine! So now five years later, I have a full blown collection, but I no longer adore the magazines like I used to, I barely have time to read one whole issue when it comes in. They just sit there, I’ve been storing them in crazy places like under my bed. I decided to finally recycle them. It was kinda sad for me to just be disposing of them. So I decided to keep a few. Some celebs have multiple covers sine 7th grade, it is interesting to see them then and now. the bag was really heavy! I kept a couple of Seventeens, all my Elle’s and my 1st Cosmo girl. Are you a hoarder of any kind?